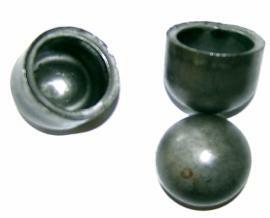 - Available for 0.75", 1", 1.25", 1.5" and 1-3/4" tubing. 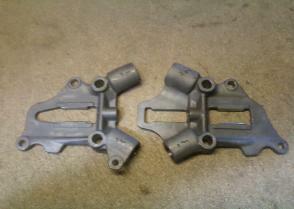 real deal neck and axle plates! - Quick and appealing way to cap tube ends. - 1-1/4" O.D. 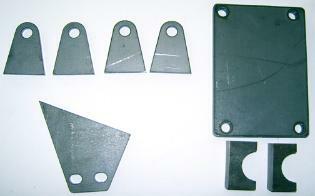 with stepped design to plug 1" or 1-1/8" I.D. tubing. - 1/4" thick raw steel. 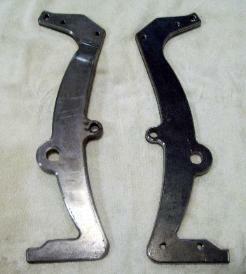 axle plates on frames with 1-1/4" tubing. 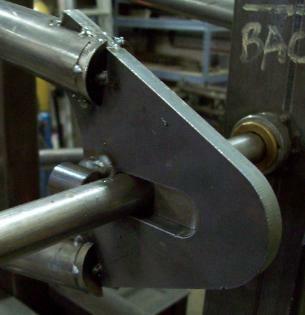 - Makes a quick and attractive method to cap tubing. 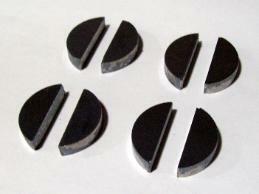 - 1/2" thick plate steel construction. CNC Laser cut pieces now! 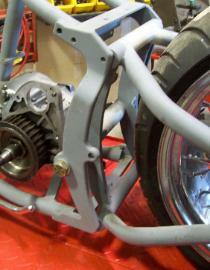 - A must-have set for Softail frame builders. 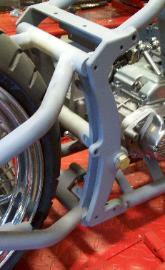 Note: These uprights attach to main frame section, NOT the swingarm. - Sold as a 2-piece set.